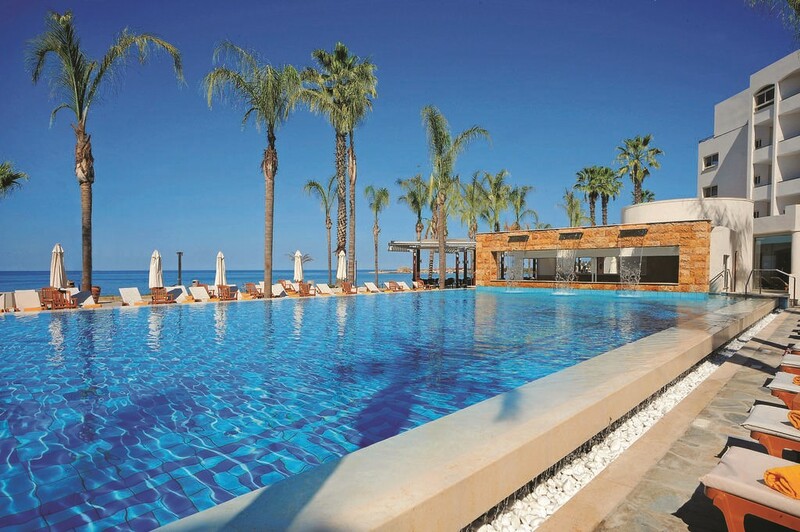 The Alexander the Great Beach Hotel in Paphos, on the southwestern coast of Cyprus, is a luxurious hotel directly overlooking a ‘Blue Flag’ sandy beach. This property is 3 minutes walk from the beach. 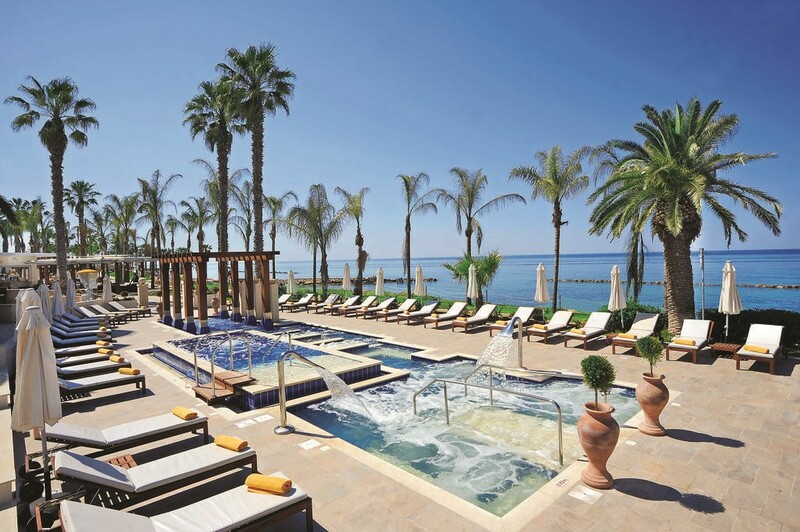 Located in Paphos City, 0.7 miles from Paphos Harbor, Alexander The Great Beach Hotel features an outdoor pool and playground. 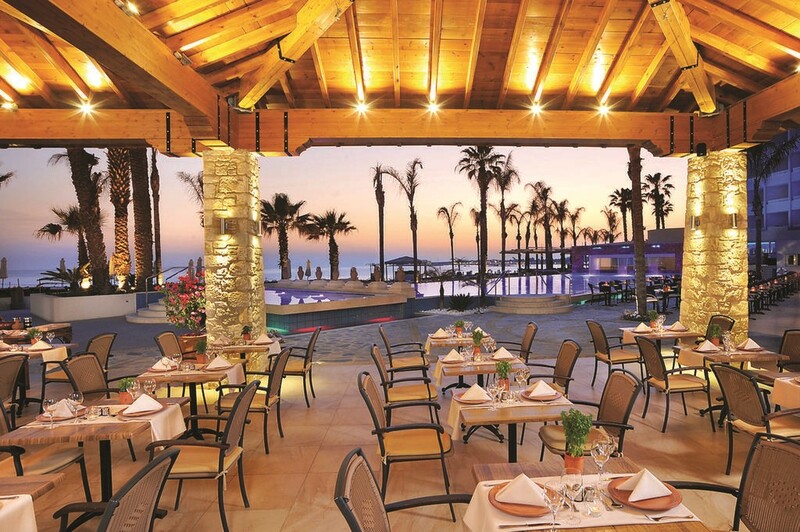 The hotel has a sun terrace and views of the sea, and guests can enjoy a drink at the bar. Free private parking is available on site. 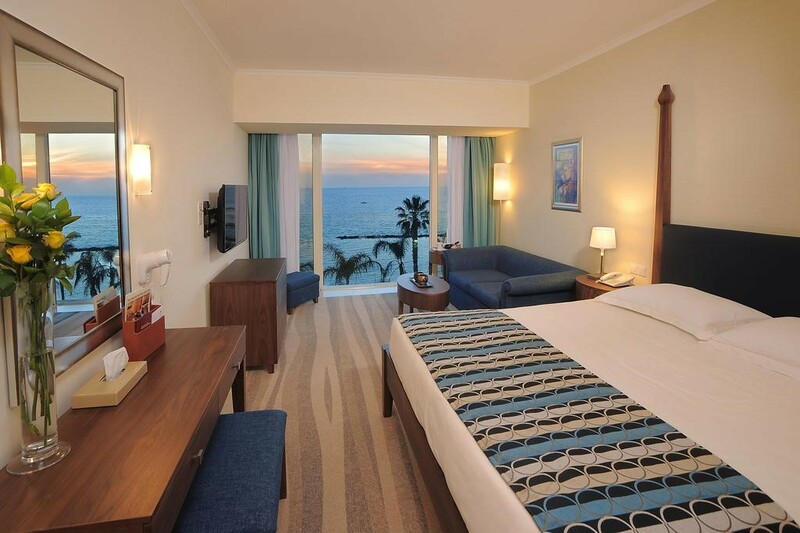 Some units feature a private bathroom with a spa tub, and others have bathrobes and slippers. 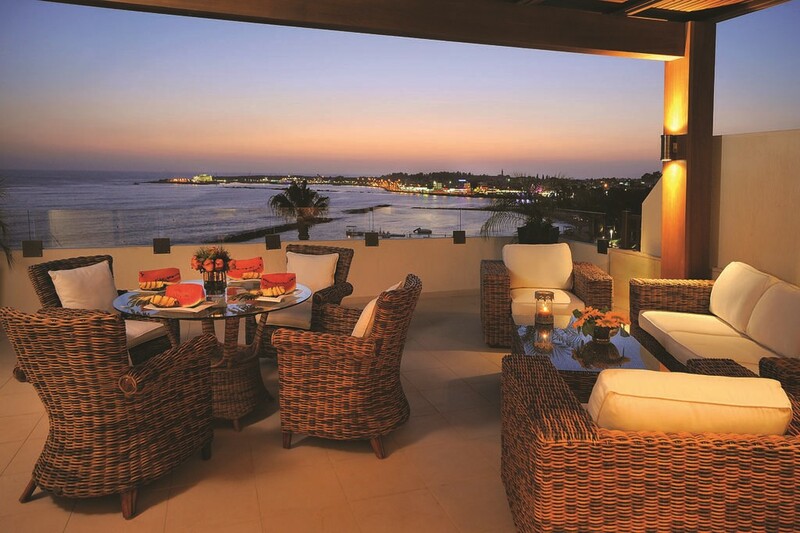 Certain accommodations have a sitting area to relax in after a busy day. Extras include free toiletries and a hairdryer. A flat-screen TV is featured. You can play tennis, ping-pong and darts at this hotel, and bike rental is available. The hotel also provides car rental. 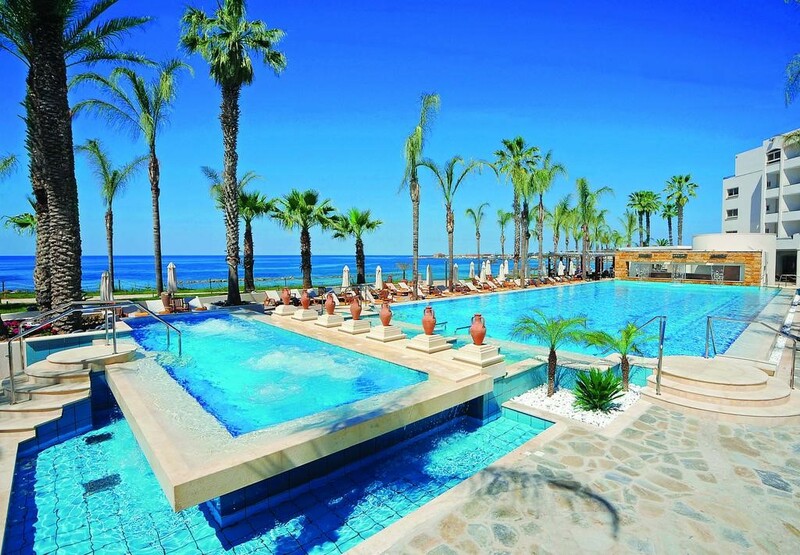 The nearest airport is Paphos International Airport, 4.3 miles from the property. 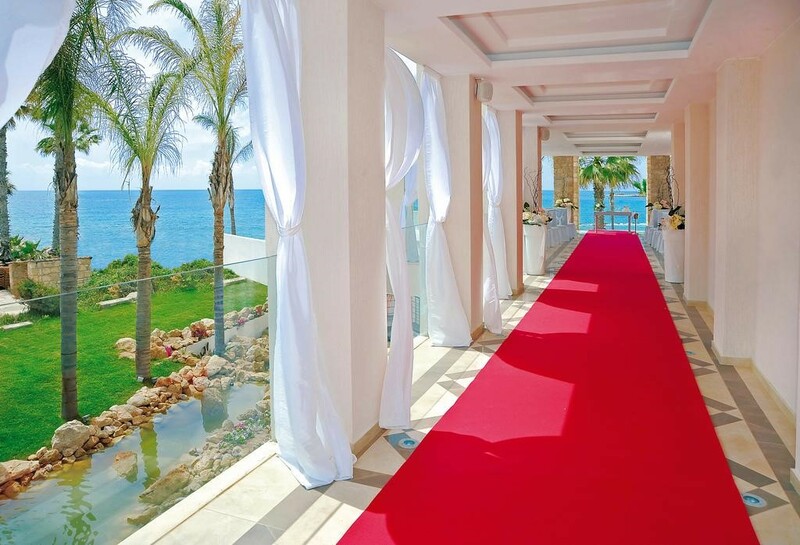 Following its relaunch in 2013, this award-winning flag ship hotel, Alexander the Great Beach Hotel in Paphos, welcomes you with a rejuvenated spirit that will appeal to all ages and exceed their expectations. 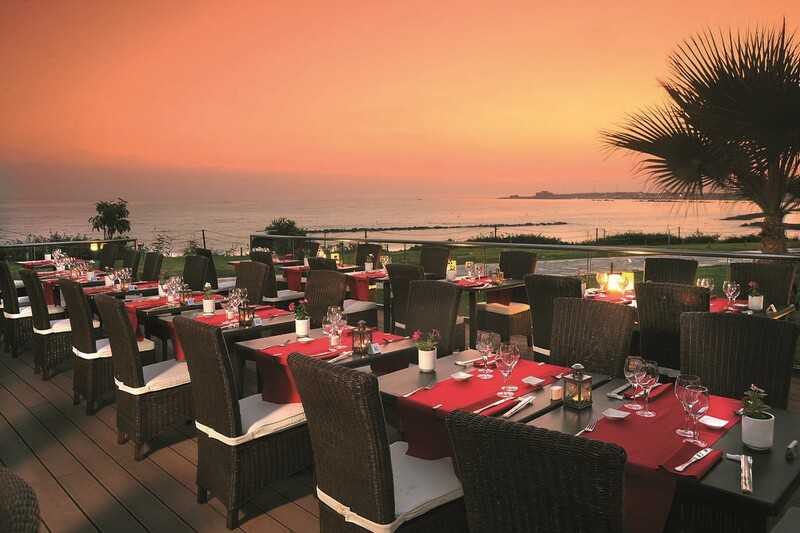 From accommodation to leisure facilities, from gastronomy to entertainment, the seafront hotel with a sweeping panoramic view of the Paphos harbour and medieval castle is full of wonderful surprises for couples and families - both on the premises and all around.